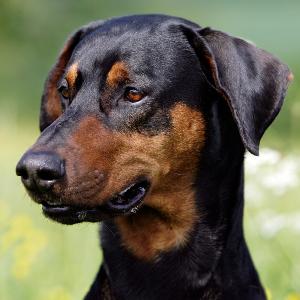 There was actually a man called Doberman who started this well-known breed. Intelligent, obedient, energetic and watchful dogs with great strength and endurance. Eager to learn and responds well to reward-based training using treats or favorite toys. Enjoys dog sports such as agility, tracking, flyball, musical freestyle, Frisbee, and obedience. 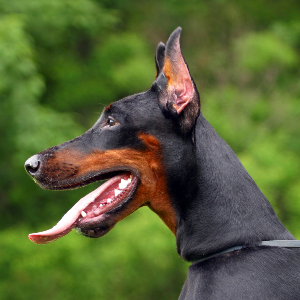 The Doberman Pinscher was originally bred for various purposes including the guarding of people and/or property. Individual members of this breed will benefit from firm and dedicated training to temper this guarding tendency, and thus help to maintain safety as a household companion. 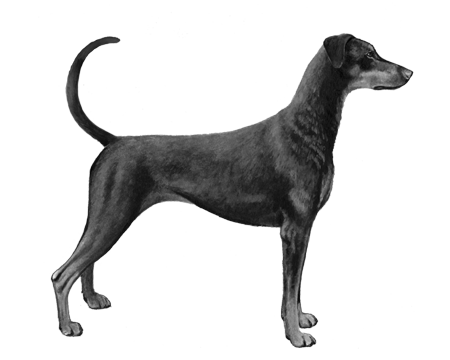 Not many people know that there was actually a man called Doberman who started this well-known breed. Or that he was a tax collector and a local dogcatcher. 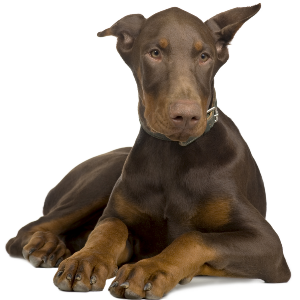 Back in the 19th century, Frederick Louis Doberman wanted a strong dog that would help him with his work. He had easy access to lots of different breeds, which he used to create his masterpiece. 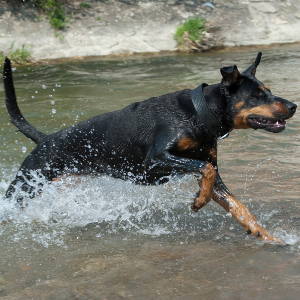 Today’s Doberman Pinscher has the strength of a Rottweiler, the agility of a German Pinscher, the speed of a Greyhound and the tenacity of a terrier. 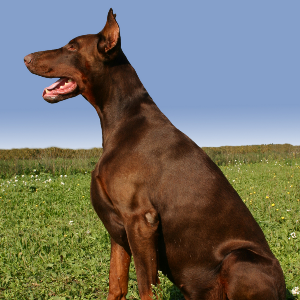 While the Doberman has a solid reputation as a guard dog, they are also widely used as guide dogs. And, perhaps surprisingly, as therapy dogs. It certainly makes us feel better having these companionable fellows around.